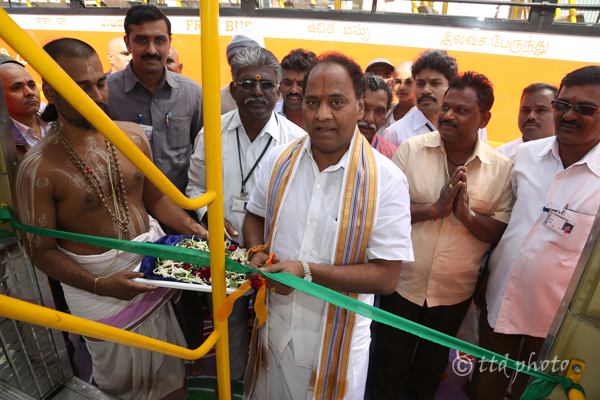 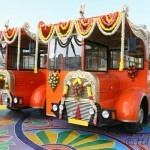 TIRUMALA, JAN 7: TTD EO Sri MG Gopal on Tuesday launched two free buses in Tirumala. 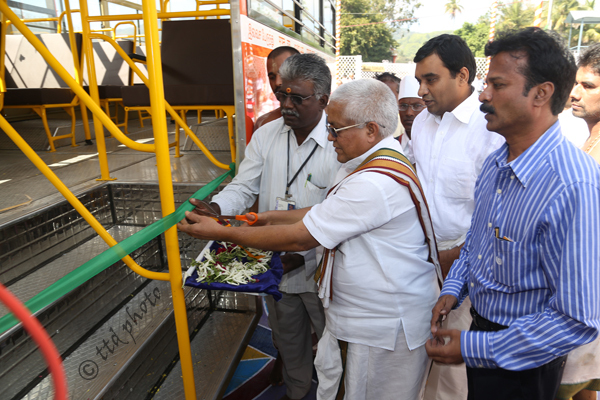 With this two more buses added to the fleet of already existing dozen free buses in Tirumala. 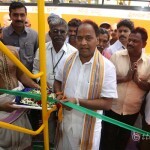 Addressing the occasion he said, the free buses have been transporting the pilgrims to various destinations in Tirumala from the past five years and are very useful to the pilgrims to a great extent. 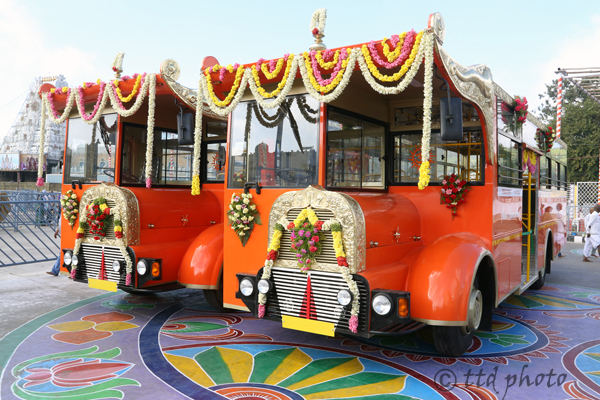 Meanwhile the chassis for the two vehicles have been donated by Ashok Leyland company each at a cost of 12 lakhs while the body of the vehicles have been donated by Sri Senthil Kumar of Madhuranthakam each at a cost of Rs.12.75lakhs. 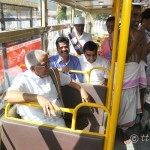 With the addition of these two buses, the number of trips per day would be enhanced to 330 trips from 300 while the time interval would also be reduced from 4minutes to 3minutes between two trips. 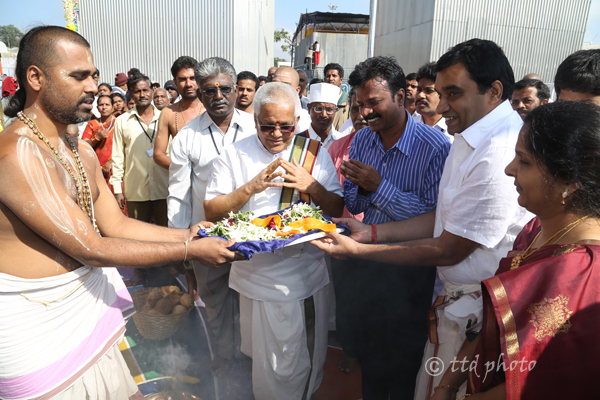 Tirumala JEO Sri KS Sreenivasa Raju, TTD GM Sri Sesha Reddy, DI Tirumala Sri Naidu and others were also present.